Suze Kundu, Head of Community Engagement at Digital Science, investigates the insights and trends in the gender balance of authors featured in the 2018 Altmetric Top 100. 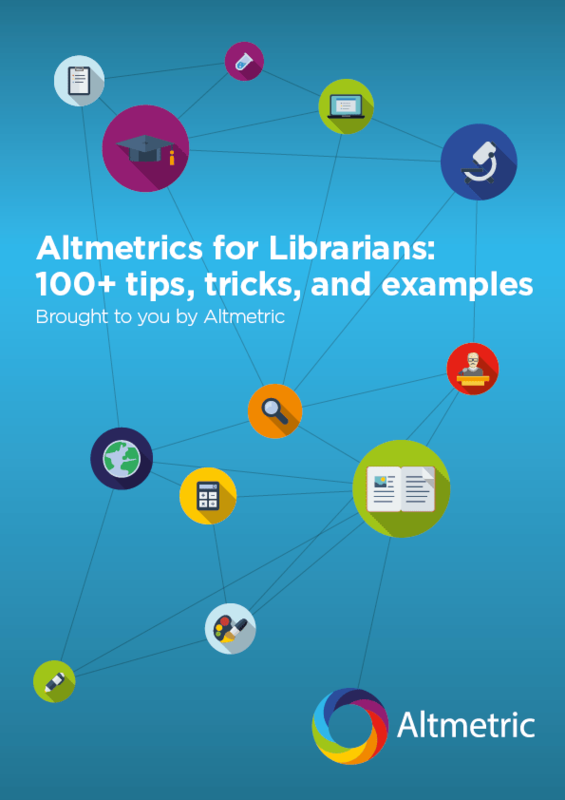 For each of the last six years, Altmetric have provided us with a little Christmas present in the form of the Altmetric Top 100. Collated at the end of each year, the Top 100 delivers a rundown of the hundred articles of that year that gained the most attention. Often these mirror major world events, such as the destruction of the Fukushima nuclear power plant in 2013 and the Zika virus in 2016. 2018’s Top 100 saw the rise of ‘fake news’, the continued interest in diet, and the impending doom of climate change. While many of these topics have captured the zeitgeist of each year, we wanted to know whether there were any interesting trends in the gender balance of the most discussed articles and whether this may reveal any insights into ways to make your research more impactful. Following on from work carried out by Digital Science Consultancy, data scientist Dr Hélène Draux used the same gender guesser tool to analyze the gender of authors of the Top 100 most discussed articles of 2018, and measure the gender balance overall, as well as against field of research, team size, and first authorship. In order to do this, data needed to be extracted from Dimensions, a database of around 98 million publications, including funding data, information about collaborations and research groups, clinical trials, patents, and other information, to gather the most detailed data associated with each of the Top 100 papers in order to most accurately attempt to identify the gender of the authors. While the gender guesser is able to accurately identify the gender of many names, there are some limitations in the gender guesser tool used. While these are discussed in detail in our recent article focusing on improvements that could be made to the tool to make it more inclusive and therefore more accurate, the number of names unidentified due to the author being listed by just their initial, names that are unisex, and names that are either not frequent enough for the tool to have encountered or are perhaps in a different language or format, are as low as they can be given that we used the best tool currently available to us, and so we can be confident that the results still give a good indication of gender balance. From the hundred most talked about articles as measured by Altmetric, there were 1,959 authors. The gender guesser tool was able to identify 81% of those authors. 19% remained unidentified. Of those identified, there were 68.8% men and 31.2% women. From all authors from the Top 100, that results in 55.7% of authors being identified as male, 25.3% of authors being identified as women, and 19% of authors with unidentifiable gender as per the limitations of the gender guesser tool. How does this compare to the overall gender split of all papers published? In order to investigate this, we took a look at two randomly selected samples of 1,500 publication identifiers that were all published in 2018 for fair comparison. As shown on Figure 1, the results showed that for the first group the percentage of women was 21.1% to 78.9% of men, and the second group had 20.6% women and 79.4% men. By comparing the results of the Top 100 to these two random sample sets, we can see that there was a higher percentage of women authors in the Altmetric Top 100 than we see generally across the board for publications from the same time period. Fig. 1. Comparison of gender distribution of authors in two random samples of articles published in 2018 and in the articles than made the Top 100 Altmetric score. First authorship is generally seen as a stamp of one’s leading role in the research being reported on in the publication, at least in most fields of research; exceptions to this are fields such as computer science, which by convention list their authors alphabetically. Broadly speaking however, first authorship is often given to academics that are leading research groups or are well on their way to doing so. In the Altmetric Top 100, the gender guesser tool was able to identify 84% of all first authors of these publications. Of the 84 authors analyzed, 70.2% of the first authors were men while only 29.9% of women were first authors. Given that the percentage of male researchers overall from those identified was 68.8%, the number of male first authors was higher even than the proportion of male authors overall. This slightly higher number could suggest that, in this sample of 100 publications, more research group leaders are men. In order to understand whether there was any gender imbalance in the size of team the researchers who published these hundred papers worked in, we first have to define team sizes. Individuals working alone on a single-author publication are classified as working in a single-person team, while publications with two to five authors are classified as working within a small team. Publications from big teams feature between six and twenty authors, while gigantic teams have twenty one or more authors on one single publication. Fig. 2. Authorship size in relation to authors’ gender. The results showed that men and women were equally represented in both big teams and solo working, as shown Figure 2. Almost twice the number of women worked in small teams compared to men, though these were also each fairly small percentages. The fact that overall there were more women than men by a ratio of about 2:1 means that the number almost even out for small teams, with far more men publishing within larger teams. This could be related to the fields of research that men work in compared to women. For example, it is not uncommon for publications from CERN to have many hundreds and even thousands of authors. Particle physics falls within the fields of engineering and physical sciences and, as our gender representation tool indicates, this field of research has a greater proportion of men working in it than women when compared to a field of research that falls within the areas of arts and humanities. As the ‘gigantic team’ percentages are within 3% of each other, we can say that men and women were equally well represented in gigantic teams, however when we again realize that the ratio of men to women is around 2:1, there are far more men working in gigantic teams than women. Figure 3 shows the gender distribution in regards to the authorship list in difference fields. Fig. 3. Fields of Research and authorship size, distributed by gender. Fig. 4. Distribution of genders across Fields of Research. When we break down the fields of research represented by each of the authors and run the gender guesser tool through them, we see that the most well represented field of research is Medical and Health Sciences. As shown on figure 4, almost 70% of all authors featured published work in this field. By sheer numbers, there were twice as many male authors in this field than women in the Top 100, though proportionally the percentage of men and women whose publications were included in the Top 100 and were working within this field of research were around the same; 68.4% of men and 66.9% of women. While this may not represent the percentage of papers from this field of research, it may indicate that this area of research consists of large research groups, which may have contributed to the imbalance in percentages of men and women publishing in this field. Looking beyond Medical and Health Sciences, the remaining 30% or so of authors in the Top 100 seem to be scattered across most fields of research. There was no representation of publications from Mathematical Sciences, Agriculture and Veterinary Sciences, Technology, Law and Legal Studies, Creative Arts and Writing, Language, Communication and Culture, and Philosophy and Religious Studies. Interestingly, though Education was shown to be a field of research well represented by women in our report on gender representation, none of the authors in the Top 100 were women. The only two authors that published in this field and featured in the Top 100 were both men, representing only 0.2% of all male authors featured. The percentage of women authors was higher than the percentage of men authors in Earth Sciences, Biological Sciences, Information and Computing Sciences, Psychology and Cognitive Sciences (more than three times the percentage of women than men), and History and Archaeology (almost twice the percentage of women than men). In line with our gender report, the Top 100 shows signs of higher gender imbalance in Physical Sciences (one third of the percentage of men), Chemical Sciences (also one third of the percentage of men), Environmental Sciences (half the percentage of men), and Engineering (almost half the percentage of men). When thinking about this in terms of actual numbers, it is clear to see that there is a pronounced gender imbalance in the representation of these subjects in the Top 100, which correlates with the findings of our own report on gender representation in research. By analyzing the Altmetric Top 100 using our gender guesser tool and Dimensions data, it is possible to identify connections between gender, and first authorship, field of research and team size. Interestingly, women had better representation in the Top 100 than in the random samples of publications that we looked at, though did not fare as well in terms of first authorship which favored men. This could indicate that women are more successful at communicating their research and that they communicate their work while still being earlier in their careers, given that there are fewer women identified as first authors in this selection of authors than there are women as a percentage of the overall authors. This leads to some interesting discussions. Engagement with members of the general public is the final step of research, though it is one that is often forgotten, disregarded, and undervalued, as demonstrated by its absence in workload models or time allowed for it beyond statements made in funding applications or research assessment exercises. If altmetrics are used as a measure of true impact, and that the general public are discussing this research, perhaps it is time for the communication of research by academics to be given more value. Anecdotally, as a former communicative academic myself, engaging the public with research was often seen as a fruitless task, a waste of time, or a dilution of one’s credibility as an academic. Yet it is an inherent part of research, and one that research councils are trying to encourage through the inclusion of clearly defined pathways to impact in funding applications. The Research Excellence Framework exercise (REF) defines impact as, “the ‘reach and significance’ of impacts on the economy, society, culture, public policy or services, health, the environment or quality of life that were underpinned by excellent research conducted.” Given that quality-related (QR) funding is tied to the quality of research as determined by the REF, the increased focus on impact in REF 2021 (up 25% from 20% for REF 2014) should encourage a change in academic culture to add greater value to communicating research and those that are capable of doing it well. As shown in a report published by Wellcome in 2015, it is often women early career researchers that participate in the bulk of the outreach and engagement tasks of a research group, which could result in a greater representation of women authors in the Top 100 than in general samples of all publications. The analysis of gender balance of the 2018 Altmetric Top 100 seems to suggest that women are overcoming their under-representation in research and achieving greater impact in their work. Trends in gender representation followed those seen more widely in research, but more women authors were featured in the Top 100, even though there were more men as first authors in these papers. As impact and engagement increases in value, it will be interesting to see whether the gender balance changes over time in line with this.